Some of my favorite travel memories from 2013. 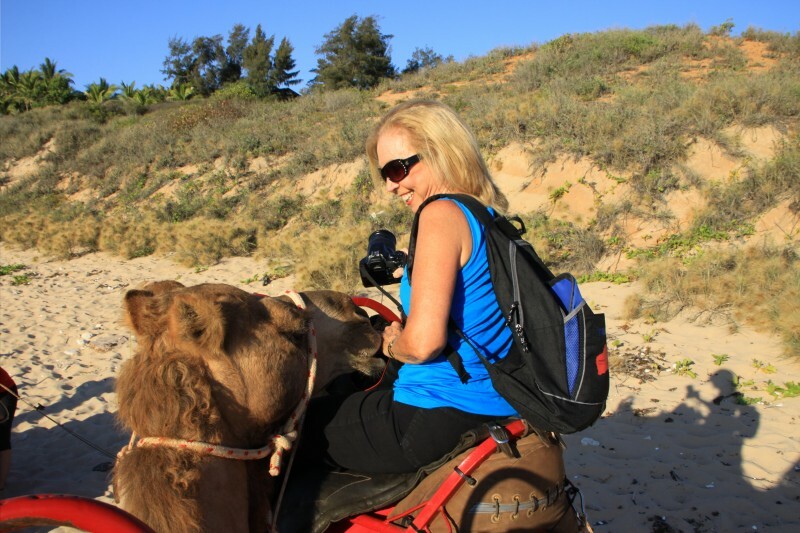 BEING KISSED BY A CAMEL! Since pictures say more than words , I will add some snap shots. 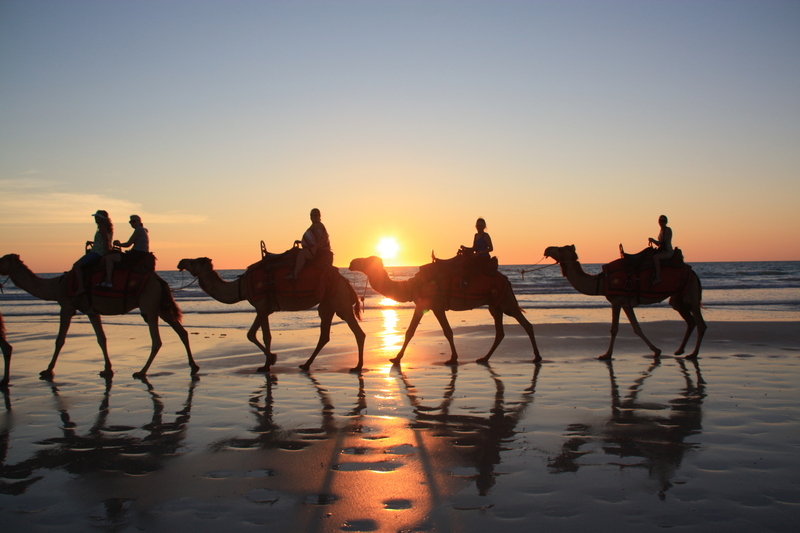 Probably one of the highlights was when we rode camels at sunset on Cable Beach, Broome, Australia. The camel care takers talk with each person and tell each rider all about the camel they are sitting on. This was so special. After an hour ride, I felt that I knew all about my new best friend, my camel Nick. I became quite fond of him. The camels are kept very clean and without any unpleasant aromas. The camel care takers walk with the riders and offer to take photos of the riders using our own cameras. 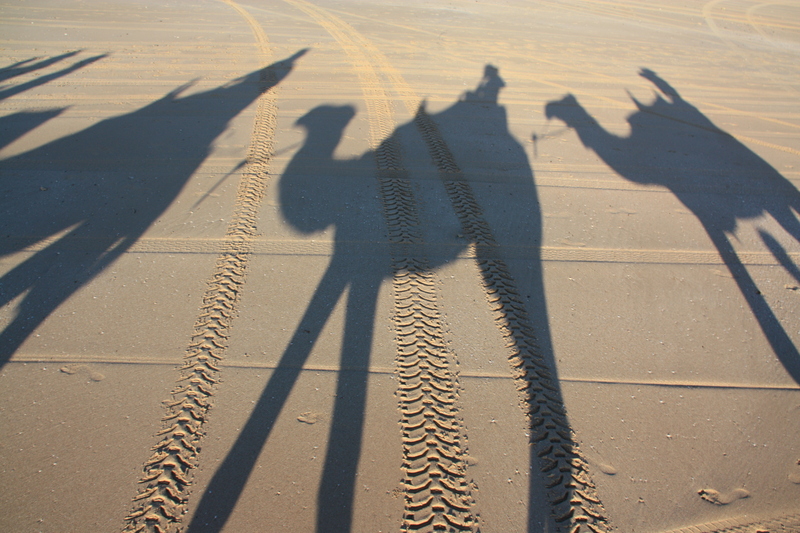 It was really very funny but the Camel walking behind me kept coming right up to my arm to kiss me. Again and again I was kissed (on my arm) by Jerry, my friend Tanya’s camel. 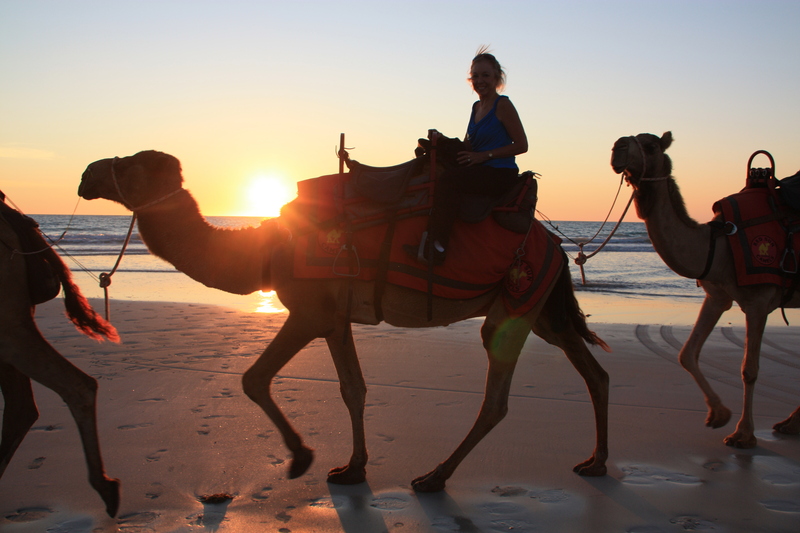 Broome is not the only place in Australia where you can ride Camels. If you are going to Uluru, Ayers Rock, Kings Canyon or Alice Springs in the Red Center, I can organize this thrilling opportunity. It might be better to read the post below before this one. The next day was allocated to a SPA treatment. Hayman Island has 13 individual treatment rooms including a dedicated Wet Treatment Room, selected therapy rooms offering peaceful garden views, two separate relaxation lounges including a meditation suite, a relaxing hydrotherapy area, saunas, steam rooms, change rooms and a state of the art hair salon incorporating special occasion make-up. In addition we were offered a Sea Plane ride to nearby Whithaven Beach. Landing in the water was quite trilling. The sicila sand beach with beautiful shades of blue water make for spectacular photography. 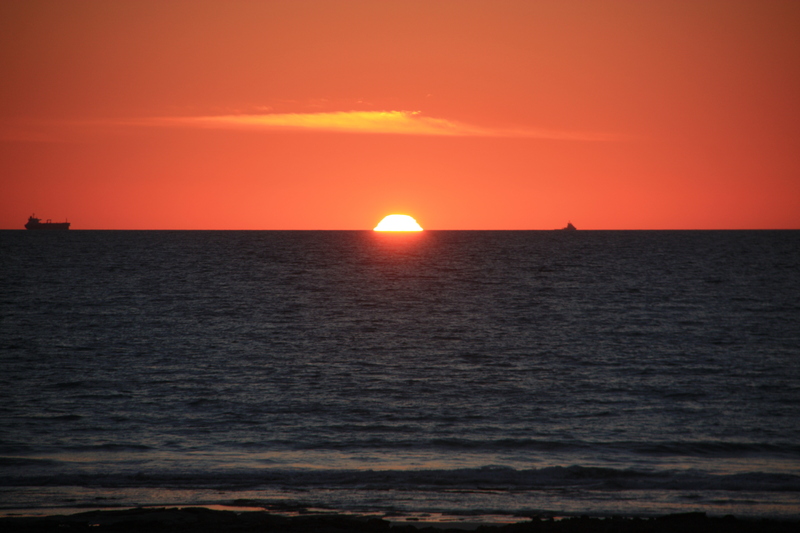 This was taken by my travel agent friend traveling with us. 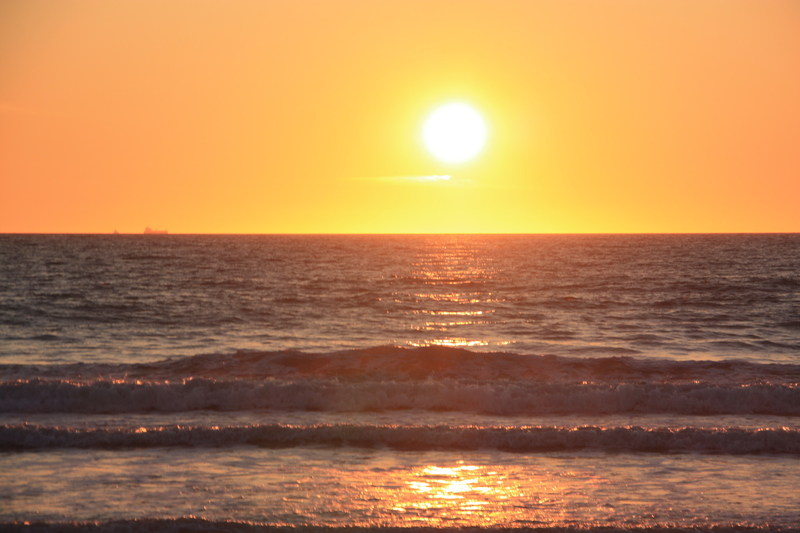 As soon as you arrive it’s easy to see why it is the most photographed beach in Australia and has been named “Queensland’s Most Beautiful Beach” by ‘Keep Australia Beautiful’ and Queensland’s Friendliest Beach more than once. 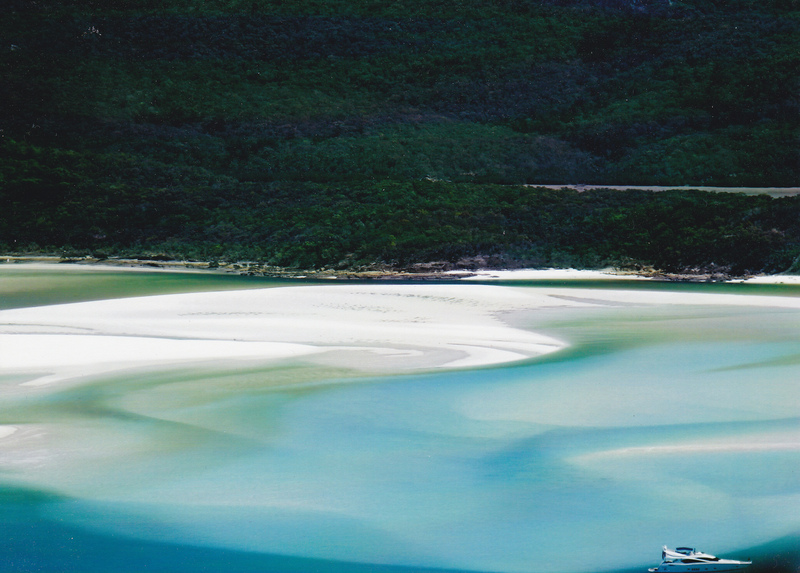 cnn.com recently named Whitehaven Beach the ‘world’s top eco-friendly beach 2010’. We swam and snorkeled at this incredible beach. We returned to Hayman Island by sea plane and were told that we were going to be treated to a very special dinner that evening. In the evening we were lead to our dining table in the gardens. Have a look at how beautifully they decorated the table. The lights in trees added to a spectacular setting. 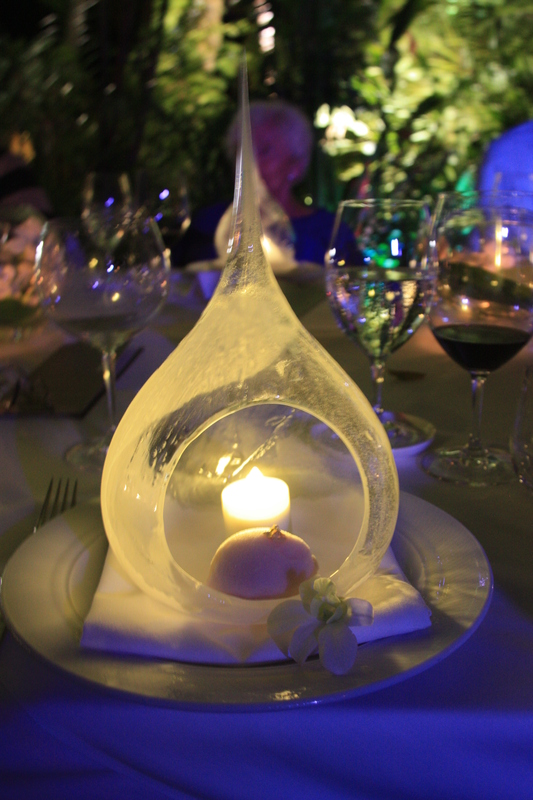 Our desert was served in the glass dome with a candle. 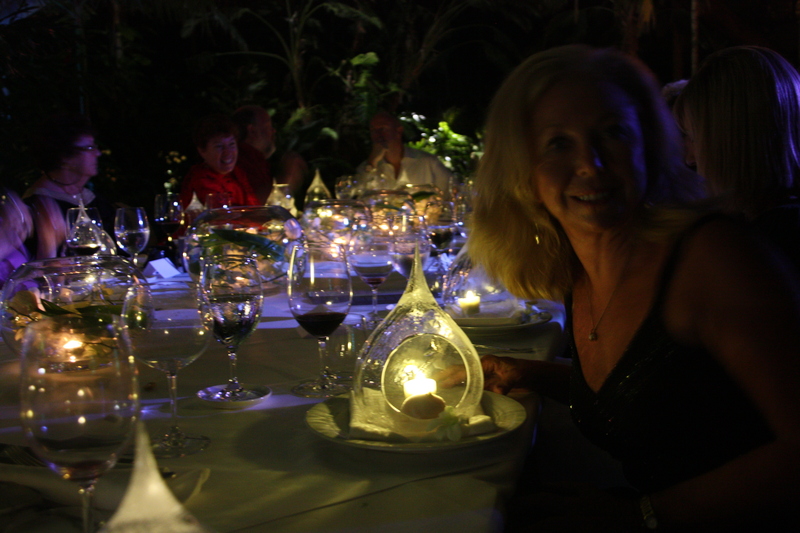 We enjoyed many magical dinners at Hayman Island. Snorkeling the Great Barrier Reef has always been a dream of mine. 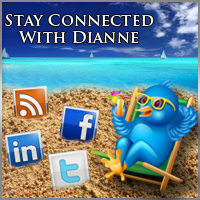 I was fortunate to be invited with a few fellow travel agents to spend a few days on Hayman Island. We sailed across from Hamilton on a very luxurious yacht. I felt like I was Jackie Kennedy Onassis on one of Onassis’s yachts. 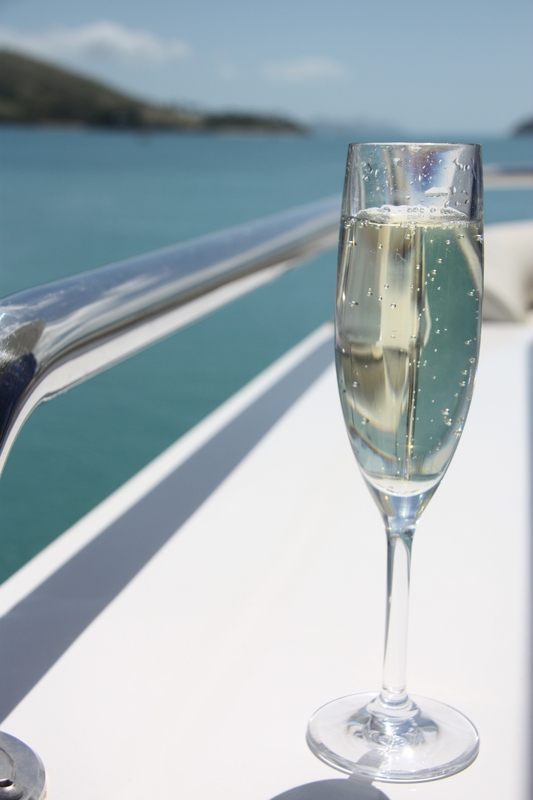 We were handed champagne and we set sail for Hayman Island on the Great Barrier Reef. Here is a photo of me soaking up the luxury and enjoying a glass of champagne en route to the resort. 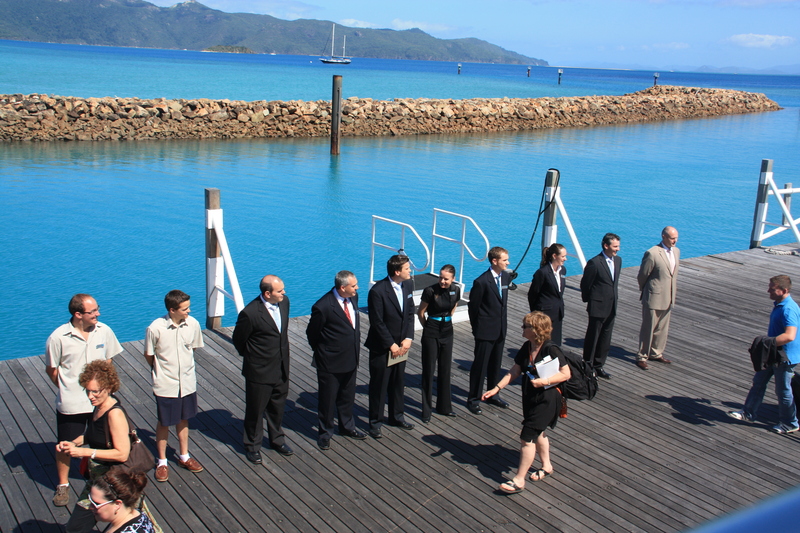 When we arrived the manager and the key staff members were lined up on the dock to greet us – WOW VIP !! 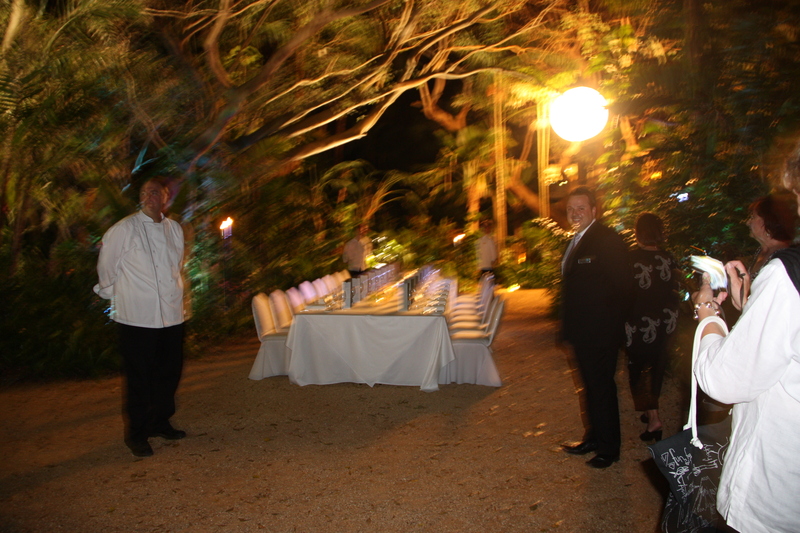 We then learnt that every person arriving on Hayman Island gets the same fantastic welcome. We were escorted to our lovely ocean front rooms. As I opened the glass sliding doors, to see the fantastic view, I was greeted by this white cockatoo. I soon learned that they are addicted to the sugar that is left next to the coffee maker. 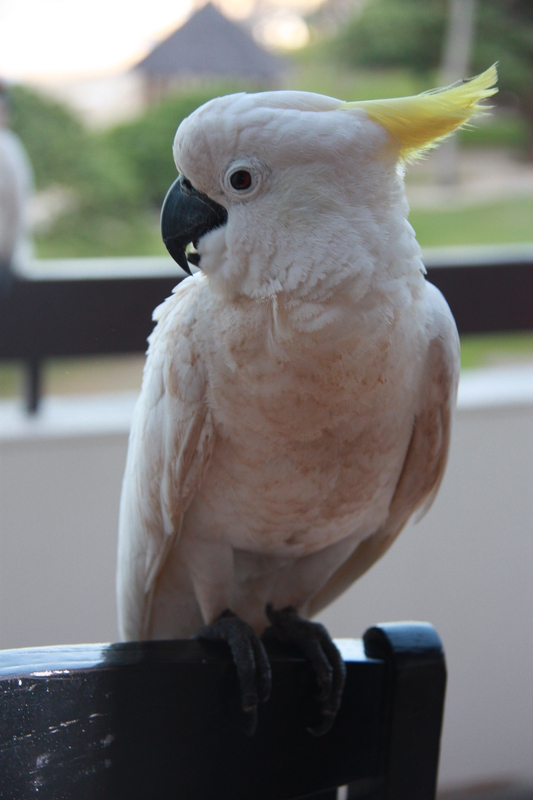 If you don’t keep your door closed when you leave your room, you could find a cockatoo party going on in your room when you return. This was the view from my bedroom. So much to do at the resort, but I knew time on the beach would be first on my itinerary. 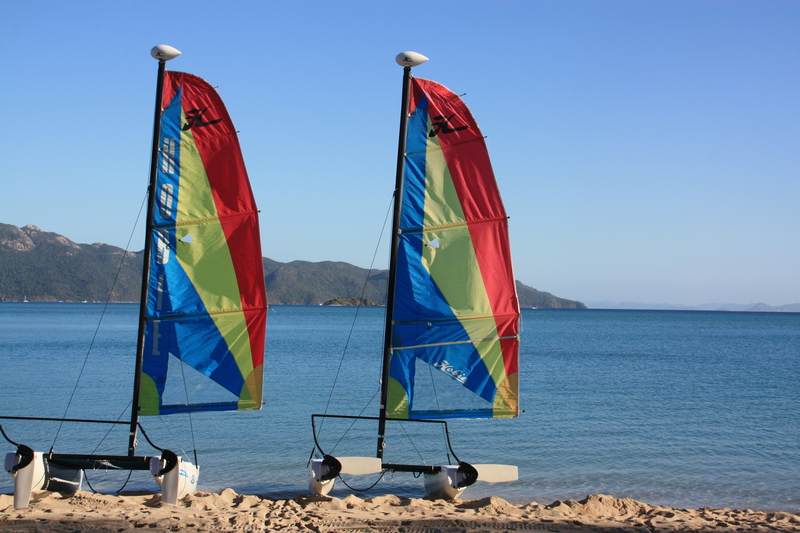 Hayman Island offers a variety of water sports such as scuba diving, snorkeling, catamaran sailing, windsurfing, paddle skiing and waterskiing. They also offer tours such a glass bottom boat tours, outer reef trips, and whale watching tours. There are also athletic activities available like squash, tennis, and exercising. This was just my first day here, so I decided to relax on the beach and enjoy the view and swim in the magnificent crystal clear blue water. I would sample more of Hayman Island the next day. Have a look at the previous posts below this one. You will need to read some of the posts below for other ways to see this incredible underwater world, The Great Barrier Reef. If you have a few days, I encourage you to stay at one of the resorts on an island, so you can relax in luxury when not actually snorkling or diving. Some of the more popular Great Barrier Reef islands are Lizard Island, Dunk Island, Bedarra, Orpheus Island, Wilson Island, Heron Island, and Hayman Island. 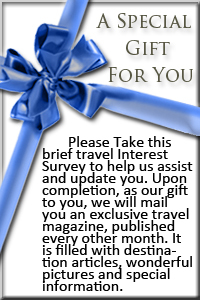 You really need a travel advisor to assist you when making the decision. 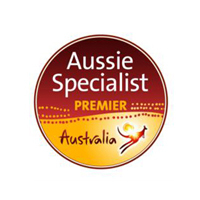 As a matter of fact, better still, a “Premier Aussie Specialist”. You will see by my website www.travelspecialistsagency.com and this blog, I am a Certified Premier Aussie Specialist and the only one in the Charlotte area. The islands are as fascinating as they are diverse. Lizard Island is a National Park with superb walking tracks and luxury accommodations surrounded by 24 private beaches. Families will prefer to have the activities available on Dunk island. Bedarra is a lovers’ playground where it is all about relaxation and rejuvenation. Heron offers a turtle rookery and plenty to explore. Orpheus is an intimate retreat that makes you feel like you are the only one there and is renowned for its exquisite cuisine. 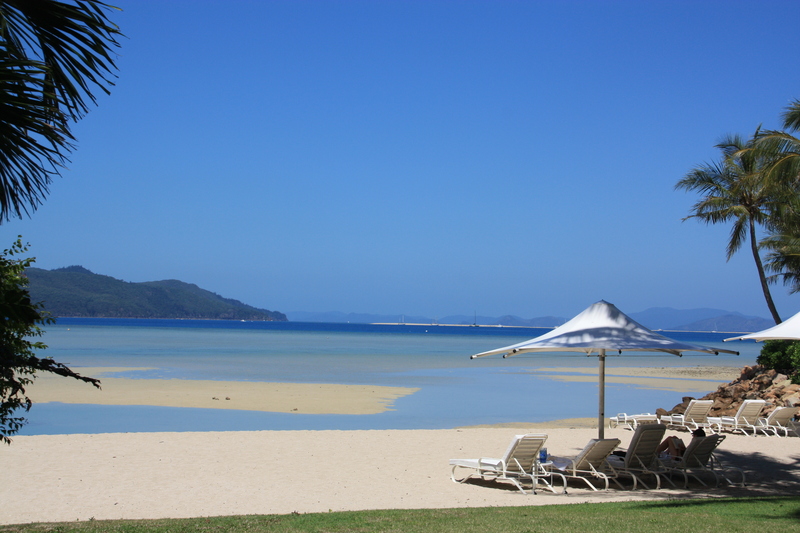 Hamilton Island is very large with numerous different types and levels of accommodation from villas to hotels. I will talk more about Hamilton in another post because there is so much to say about it. 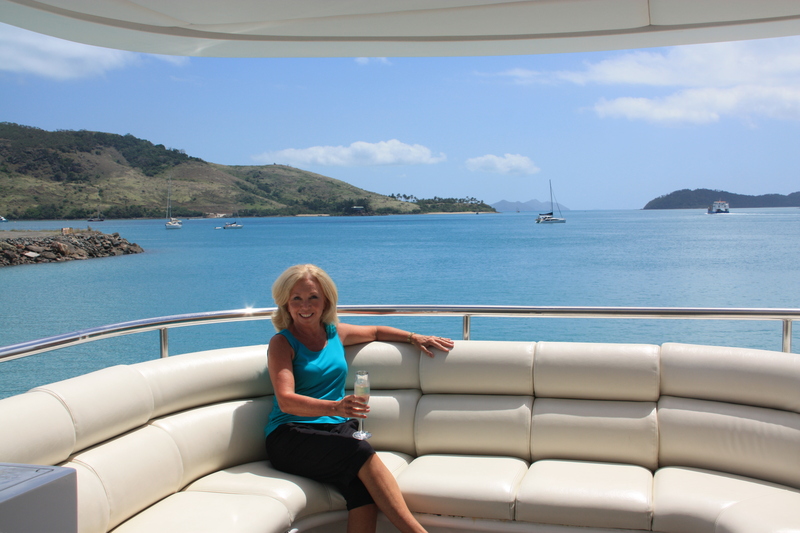 I will describe Hayman Island in an other post because I have so many photos to include. You really need to look at my previous post to see 2 spectacular photos take by one of my clients, an amateur photographer. If you know of anyone interested visiting Australia, I would love to talk with them. Phone 704-489-0367. It is impossible to say what part of Australia is my favorite. One of the top 5 would have to be the Great Barrier Reef. The Great Barrier Reef is one of the world’s great natural wonders-stretching 1,200 miles along the tropical waters of Australia’s Coral Sea. 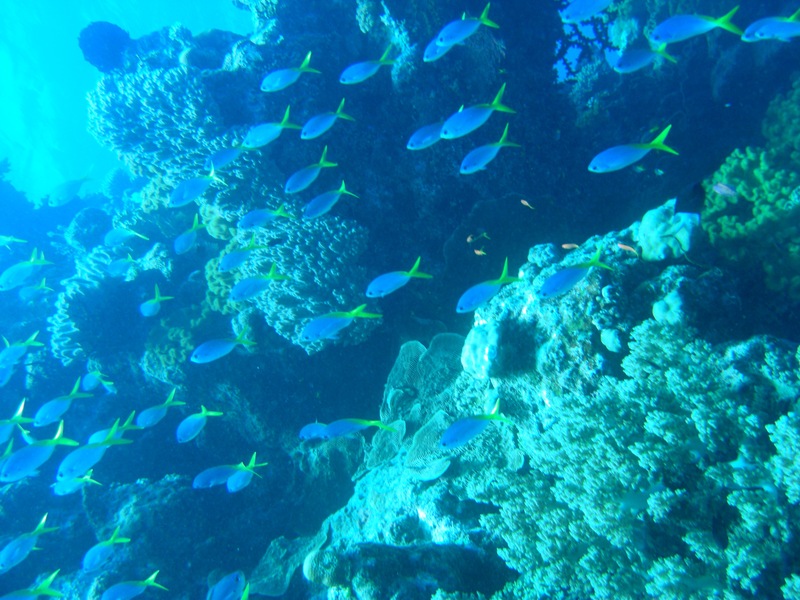 The Great Barrier Reef is alive with color and marine life. More than just a natural wonder, the reef is a world-class vacation destination with a uniquely Australian flavor. There are so many ways to experience the Great Barrier Reef. Some of my clients prefer to stay out on the Great Barrier Reef on a small cruise ship for a 3, 4 or 7 nights and get immersed in this breath taking scenery both under water and from the ship. For most travelers, a visit to the Great Barrier Reef is a once in a lifetime experience. With only a few precious days to discover the natural wonders of Tropical North Queensland, making the most of every minute is important. Buy sleeping on the small cruise ship will you experience more of the reef, rainforest and islands than you ever thought possible. You awaken each morning at exclusive reef moorings, with the very best of the reef and secluded tropical islands right outside your window. Traveling with an intimate group of just 50 like-minded guests you will explore well beyond the reach of the busy day tour groups; it really will feel like you have this World Heritage-listed wonderland all to yourself. Savor unhurried snorkeling and glass bottom boat tours in the company of our onboard Marine Biologist, their expert knowledge ensuring you gain a full appreciation of the reef and its colorful marine life. A highlight of this small ship cruise is the opportunity to snorkel and SCUBA dive over spectacular coral gardens and come face to face with a myriad of brightly colored tropical fish. Our ship has a number of exclusive reef moorings and island sites on the best parts of the reef, each day bringing a new variety of species to discover. You will have the opportunity to snorkel over magical fringing reefs, located just meters from the beach at Lizard and Pelorus Islands, and discover the rarely visited Ribbon Reefs where access is made easy from the snorkel platform at the stern of the ship. Less experienced swimmers will enjoy the opportunity to join guided snorkeling tours, our expert staff accompanying you in the shallow waters over the reef every step of the way. One would be to have your base on the mainland and take a day trip by Catamaran. Port Douglas would be where I would base myself if taking the day trip. 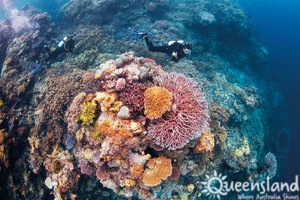 Cruise to Agincourt ribbon reef, at the outer edge of the Great Barrier Reef for a day you probably will never forget. A few of us travel agents travelled in comfort aboard a wave piercer catamaran to the reef platform. This is ideal for both snorkelers and non-swimmers seeking the widest choice of reef experiences including snorkeling, underwater observatory and semi-submersible. Soon after departing Port Douglas morning tea is served and the Marine Biologists give the passengers instruction and information about the day and activities available. Equipment is handed out, so as not to waste valuable snorkeling or diving time when you arrive. Snorkeling, Semi-submersible coral viewing, the Underwater Observatory, morning tea, afternoon tea and an incredible seafood buffet are included. 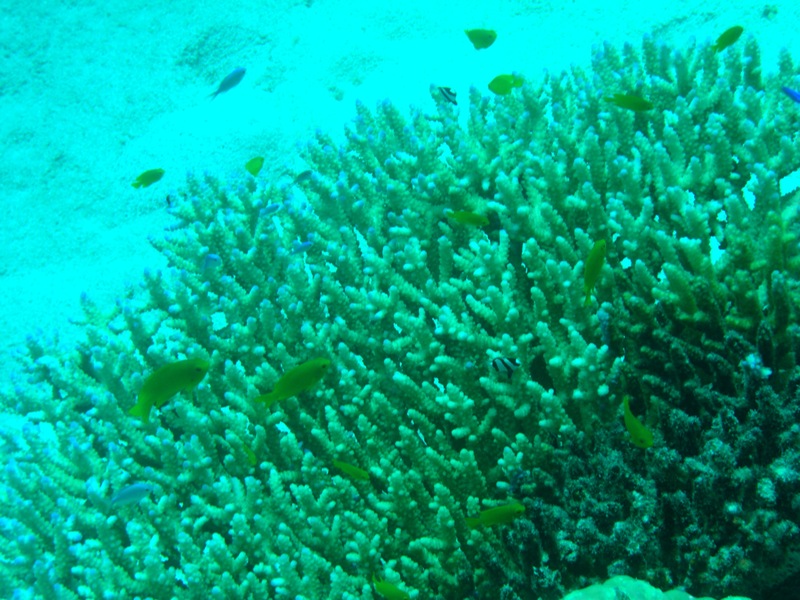 I was blown away by the breathtaking underwater scenery while snorkeling. At lunch time I piled my plate high with prawns and other yummy seafood. There is plenty of variety for non seafood and vegetarians. After lunch, I decided to spend time in the sun soaking up breathtaking water views. Two of my friends took an optional helicopter ride over the Great Barrier Reef. When they returned they were incredibly enthusiastic about the experience. I regretted not signing up myself. For those who really don’t want to get wet, take the Semi Submersible ride to view the spectacular marine life. In addition go to the Underwater Observatory. Scuba Diving is a once in a lifetime experience. Introductory diving for the first time novice is offered as well as excellent diving for certified scuba divers. A couple of my travel agent friends went Scuba Diving. What a place to Scuba Dive! On the ride back to Port Douglas, while enjoying afternoon tea, the divers could not say enough about the variety of marine life and beautiful coral they had been fortunate enough to see. Thanks to their underwater cameras, they were able to show me the beauty they captured during their dive. I will tell you more about other ways to experience the GREAT BARRIER REEF soon.